Open Access Week is a global event held annually in October to raise awareness of the benefits of Open Access in the academic and research community. We encourage faculty and graduate students to attend open access events and learn more about how open access can benefit your teaching and research. October 22, 2013 – 12:00 p.m. to 2:00 p.m. in LIB-489B, Library 4th floor. In this workshop, facilitated by Ann Ludbrook, Copyright Librarian, and Michelle Schwartz, Research Associate for the Learning and Teaching Office, we will highlight freely available course materials, textbooks, data sets, and multimedia. The new fair dealing exceptions to the Copyright Act, in combination with Creative Commons material, public domain historical material, and open access books and journals, means that there is more content open for the taking than ever before. Learn where you can find free images for your PowerPoints and free textbooks for your classes! We will be providing participants with tips, resources, and information on library services available to reduce the work required to put together course readings. Please register online through the LTO website before Oct 22. RiP is an open source documentary that challenges the concept of copyright. While it focuses on music it addresses wider issues such as copyleft, open source, Creative Commons licensing, and file sharing. “In RiP: A remix manifesto, Web activist and filmmaker Brett Gaylor explores issues of copyright in the information age, mashing up the media landscape of the 20th century and shattering the wall between users and producers”. Friday, October 25, 2013 – 2:00-3:00 p.m. in LIB489B, 4th floor – register to view the webinar in the Library, or view from off-campus. Athabasca University (AU) and Athabasca University Library have a long history in supporting and promoting Open Access. AU was the first university in Canada to adopt an Open Access Research Policy and has led many other Open Access initiatives. As the university moves to a model that utilizes Open Educational Resources, the AU Library is being called upon to support more courses with Open Access resources. This entails educating faculty, finding open resources, and creating the necessary infrastructure to support OA. This session will discuss the benefits and challenges of supporting OERs with Open Access. Athabasca University is hosting a series of webinars on Open Access issues relating to education throughout the week, open to the general public. The Library will also have a contest running on Twitter throughout Open Access Week to help raise awareness. 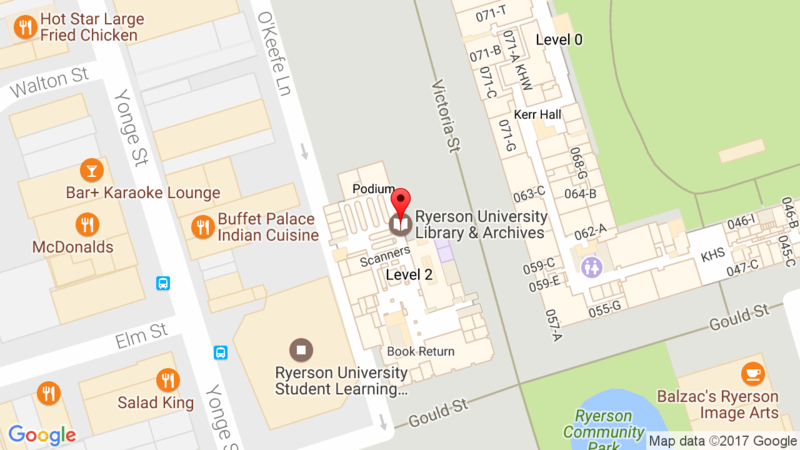 The owners of the first 3 retweets with the hashtag #RyeOA2013 will receive a $10 gift certificate to the Ryerson Bookstore. In addition to events at Ryerson, both University of Toronto Libraries and York University Libraries are also celebrating open access with a series of events, which are open to the academic community at large. The Library also has an Open Access Author’s Fund to provide financial support for authors who wish to publish their research in an open access journal. October 24-28 is Open Access Week. The Open Access movement is impacting scholarly communication and post-secondary education in the digital age and the library will be hosting some events this week to promote awareness of open access. Today, Tuesday October 25, from 12:00-1:30 p.m., take a study break and join us for a film screening on the fourth floor. We will be showing RIP: A Remix Manifesto, an award-winning documentary. On Wednesday, October 26 from 1-3 p.m., join us in the Learning Commons on the second floor of the library for the Open House. We will highlight services provided there, which will include an Open Access Zone. Come by and learn more. Refreshments will be provided and you can enter a draw to win an iPad2! Join Digital Initiatives Librarian Brian Cameron on Thursday, October 27 from 2-3 p.m. in LIB489B for a discussion entitled Author Rights in a Digital World. This session will examine copyright transfer agreements, author addenda, and discuss open access publishing and Creative Commons Licenses. The film features Creative Commons founder, Lawrence Lessig, Brazil’s Minister of Culture Gilberto Gil and pop culture critic Cory Doctorow.